American Digest's Birthday: "These go to eleven...."
American Digest: June, 2003 to June, 2014. 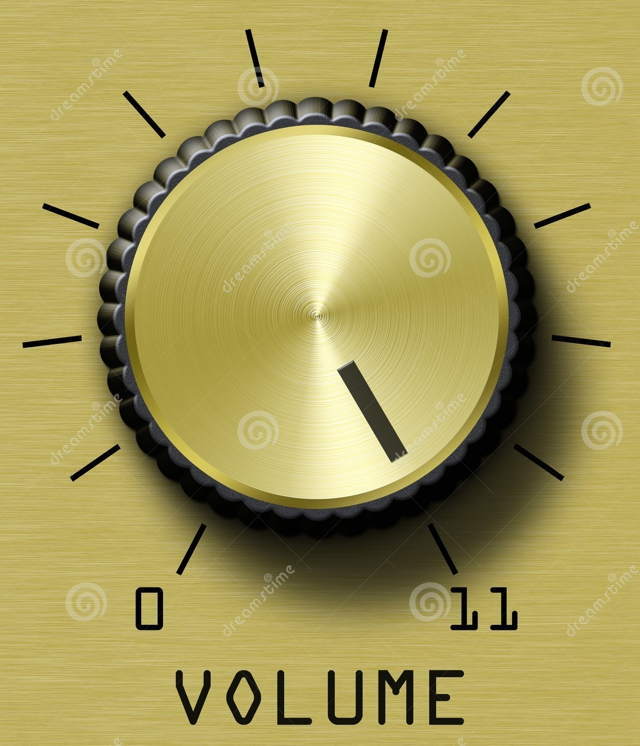 "What a long strange trip...."
11 (eleven i/ɨˈlɛvɨn/ or /iˈlɛvɛn/) is the natural number following 10 and preceding 12. Congrats! Here's to another 11 years of what you do so well - write and link. Thanks, Gerard. Thanks for your perseverance and high standards of content. Thanks for showing me things, I didn't even know they existed. Thanks for the spiritual content. Thanks for indulging our comments, as eclectic and diverse as we may be. It's been a hell of a ride so far. The Wayback Machine dates AD back to May of 2002. I know I've been reading you for a long, long time and 2003 sounds a tad late. Wassup? You do great work, Gerard. It's always a pleasure to visit your site. Craft is correct. The earliest version of American Digest was created shortly after 9/11 and carried at that time on the servers of Penthouse.com..... a website that I ran for the magazine at the time. A few of those pages exist on tghe Wayback Machine but this version was pulled after I quit the magazine in 2002. I started it later in 2003 in Laguna Beach, CA and it has been uninterrupted since then. Congrats, Gerard! I have been reading AD since 2004. There are only a handful of blogs I continue to read...all of them linked here first. Thanks for running this site. I check it daily, or more often. There are so many interesting sites and stories I would have missed without your efforts. I've been reading here for more than half a decade; it's one of the few websites I stay with. Thanks for all the trouble you go to. Thank you, Gerard, for all you do. Loved the pic of you that was posted a week or two ago. Your second life is looking good on you! I don't remember when I started following American Digest, but you've been on my daily reading list for a long time. How have your interests changed Gerard, since you've been writing and posting on AD? Happy blogiversary, Gerard! I, too, am very grateful to be one of your regular readers. One thing I can count on is that I have no idea what I will find when I come here. Thanks for doing what you do. My morning coffee would not be complete without American Digest! Essential blog. Happy blog birthday, and many more, please. Congratulations! Just as all those well-wishers above, I've been a reader for a long, long time. Every day I can count on finding something astonishing or funny or infuriating or illuminating or inspiring. Thank you for doing it and doing it so well! Happy Birthday to AD. The years go by. You have to change that photo of the moon shot flag, that backlot photo has too stiff a wind for the models. Besides, Obama sez, Kenya got there first. Thanks for your hard work, Gerard. American Digest is on my daily rotation, often more than once per day. I appreciate the variety of the information and the effort you put in to keep it fresh. May there be many, many more for all of us to enjoy! You do a superb job of painting pictures with words. I hope you have eleven more years, minimum! I love that idea, perfectly expressed here on your multifaceted site. Here's to many more years of success. Thanks for sharing the gift! Best site on the web, bar none. By the very finest of wordsmiths. Happy Blog B-Day, Gerard! Great stuff! What are the stats man? Tell us the stats! Just the HOME posts must be into five, six digits? Stats..... the main column count reports 8,678 posts and the sidebar (Top Forty) shows 14, 686 posts. Makes it a total of around 23,000 items. 'Whew, I am plumb tuckered out! And comments? The bane or benefit of putting this all up there. That's the area that I've clearly failed at, sixteen hundred posts in three years and 599 comments. With 253 of them from me so how pathetic is that? I'll send you a Mallard Filmore cartoon that clearly illustrates what I mean. By the by, did you do a Ten Year post and I missed it? Best of luck on the next ten, or eleven. Whatever.